Hello pals. 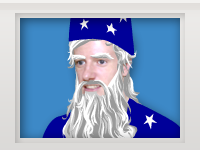 I'd like to continue hosting the flash version of Happy Wheels as long as possible. With the loss of certain ad networks, I'm going to try out a few different ad formats on this site as I continue to attempt to regain some of the revenue that went missing. I'll be making a few minor changes here and there to see whatever works best. Nothing should be annoying. This heads up was the main reason for this news post. The discord server, which is now official at https://discord.gg/happywheels, has been very helpful to me and the game. Through it I was introduced to some cool users, several of which have become much needed moderators who have greatly improved the quality of the general level submissions. There are also some really great tools that server admin Kittenswolf has made that have automated sharing and reporting of levels. I've not seen a naked watermelon level in months. I also managed to speak with a lot of featured level authors... some that I had never even communicated with, despite their massive contributions to the game (IAMURHUSBAND, bobisdacool1, Iamverybored, Farlaineloco... there are others, those were most recent). Anyways, if you're reading this, you'd probably like to visit that place. There's also a chance I may be on as I've been using discord to speak to my brother as we murder rats in Vermintide 2. Though I would prefer to be silent, I feel obligated to say that I am still working full time on the sequel, and it's still reeeeeaally time consuming. Thankfully, much of the basic graphics engine is complete, and I've been building out the new editor with it over the past year. There are so many complexities to building out all of the vector drawing tools that function similarly to Flash, that I have developed a much greater level of an appreciation for that program. I'm actually going to have to build in pen support as that would totally be possible given the way the brush tool works. That would allow me to actually make much of my own artwork for the game in the editor itself. I don't like sharing media of what I'm working on as I would just prefer the final product to speak for itself. That's all I've got for now.